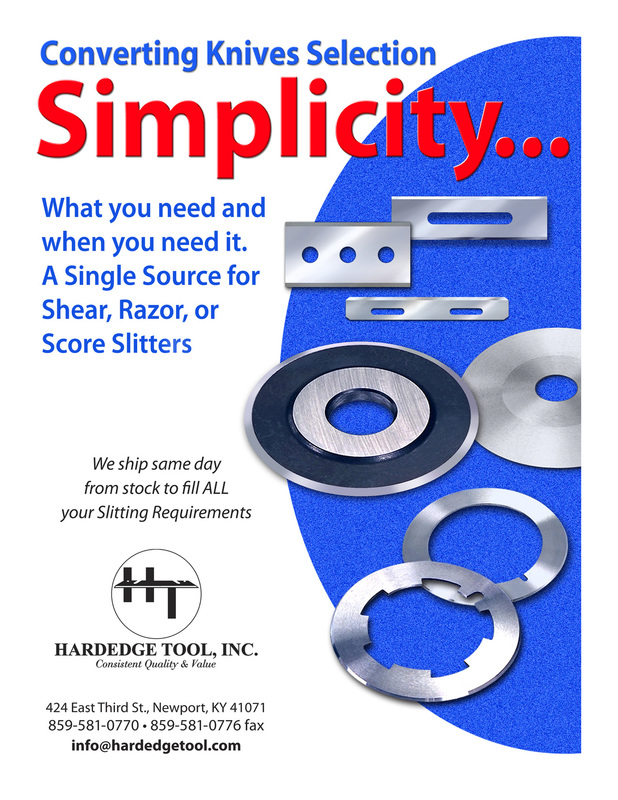 Blades for all Popular OEM’s, carbon, D-2 & HSS steel materials. HS-2.500A Appleton M-2 Core Cutter/2 Keyways..2.500″x .312″x .062″..
HS-2.531AR HT Arpeco/RotoFlex Top Shear Slitter..2.531″x 1.574″x .039″..
HS-4.00D HT Dusenberry Core Cutter#229062..4.00″x .750″x .125″..
HS-4.030Cor. 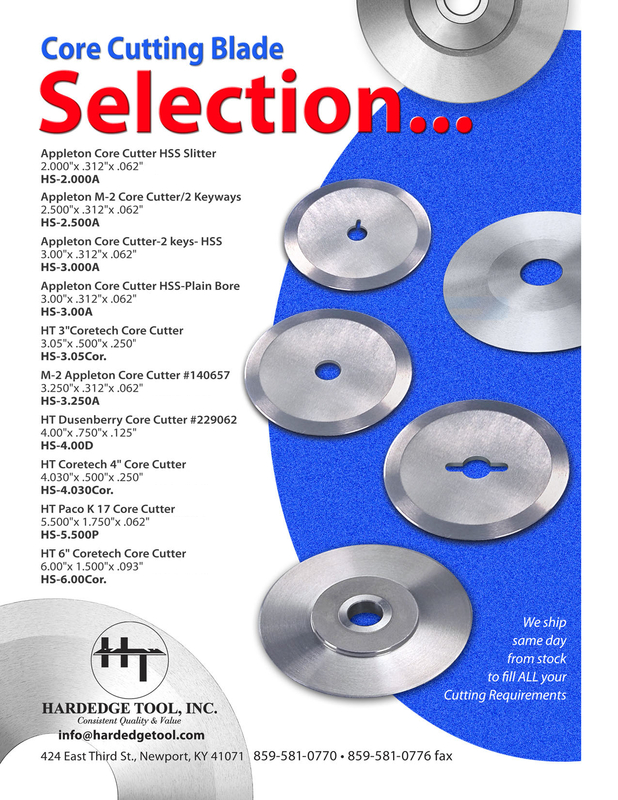 HT Coretech 4″ Core Cutter..4.030″x .500″x .250″..
HS-4.133AR HT Arrow Top Dished Slitter/Compound Bevel..4.133″x 2.952″x .047″..
HS-4.50C HT Cameron Score Slitter..4.50″x 1.250″x .093″..
HS-5.500″P HT Paco K 17 Core Cutter..5.500″x 1.750″x .062″..
HS-6.00Cor HT 6″ Coretech Core Cutter..6.00″x 1.500″x .093″..